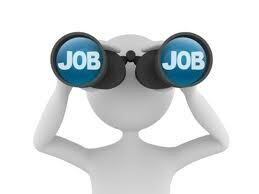 Find school plant consultant career job description sample (ex. 11), position duties, work roles and responsibilities example. For related employment contract sample click here. 1) Formulates and enforces standards for construction alteration of public school facilities throughout state. 2) Develops legislation relative to school building sites and school design construction. 3) Guides school districts in development of long range comprehensive master plans, including such factors as site selection & expected population growth and mobility and school finance specifications. 4) Coordinates activities, jurisdictions, and responsibilities of adjacent school districts evaluates entire systems of schools. 5) Provides technical information advice to local school authorities considering construction or renovation of school plant. 6) Inspects proposed sites schools under construction or undergoing alteration to enforce applicable standards. 7) Prepares suggested classroom plans layouts, taking into consideration such factors as climate, construction costs, availability of materials, and accepted principles of institutional construction. 8) Reviews plans for construction and renovation of school buildings and approves or disapproves plans in accordance with standards policies of department. 9) Confers with representatives of school boards, educators, and architects to explain and reach agreement on design concepts construction standards. 10) Arbitrates difficult unusual construction disputes. 11) Conducts special research studies concerned with lighting, heating, ventilation, air-conditioning, acoustics. 12) Prepares reports for state department state legislature..
* Other work duties may be described based on the business/industry needs from - school plant consultant - position.